It’s that time of the year when everyone makes New Year Resolutions. This year, I listed a couple of points everyone with Celiac or gluten sensitivity must resolve to do to improve their health, while I do the same. I think the hardest part of having a food allergy isn’t really the issue with the food you can’t eat but the entire social aspect related to food. This is my daily challenge with my own son. Having three kids with different needs and requirements. I know a lot of people think I am obsessed with my oldest son’s gluten allergy. Honestly, I gave it to him and I have to fight the battle with him, sometimes even against my other children. So, here are five resolutions that I am determined to keep through 2017. 1. 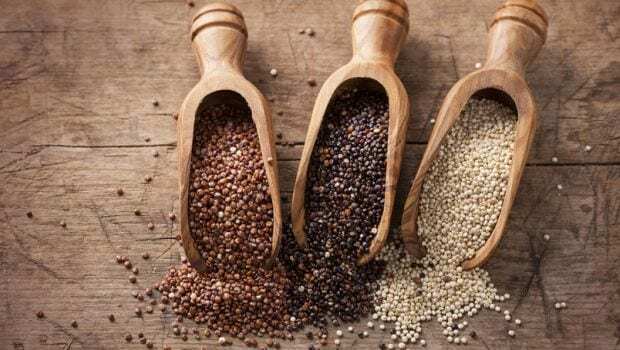 Eat Naturally Gluten Free Food: It simply means that you must try all the lovely millets, different types of rice and grains like buckwheat and amaranth. Also, fresh vegetables, fruits and meats should top your grocery list. Avoid all the super processed, new age gluten free packaged goods. In India, gluten free grains are easily available. Introduce the old of way of eating eat fresh and natural foods. 2. Avoid Cross Contamination: This is hard for families that still live in the joint family set up with a lot of staff. Your child’s health is your responsibility. Make separate kitchens or pantries. For the first three months after your family member or child gets diagnosed with a gluten allergy I would recommend that you eat home cooked food and buy only 100 percent gluten free food manufactured in a gluten free facility at least till the TTG levels become normal. 3. Talk About of Your Allergy: Explain to your friends and family about your allergy without an apology or a ceremony. This isn’t a fad or it isn’t something you can overlook. And no, you won’t outgrow Celiac Disease. It is a lifelong condition with no cure and needs no medication except following a strict life-long gluten free diet. 4. Avoid Environments that Lack Knowledge: The Indian wedding parties would be a perfect example of an unfriendly environment for anyone with an allergy. Just eat at home and go. I just carry food for my kids and don’t feel embarrassed rather responsible for my child’s health. The reason I spend so much time developing recipes and organizing get-togethers is to invite all my kid’s friends over and cook gluten free food that doesn’t only look good but also tastes good. I know how hard it can be to find high quality, gluten free products. The creation of great tasting gluten free food is something I am incredibly committed to in order to create awareness on how to live a gluten free life. I have spent the last 5 years being a gluten free mom. Happy to be making a difference in my own small way in my child’s life and maybe in others too. Happy Gluten Free New Year!